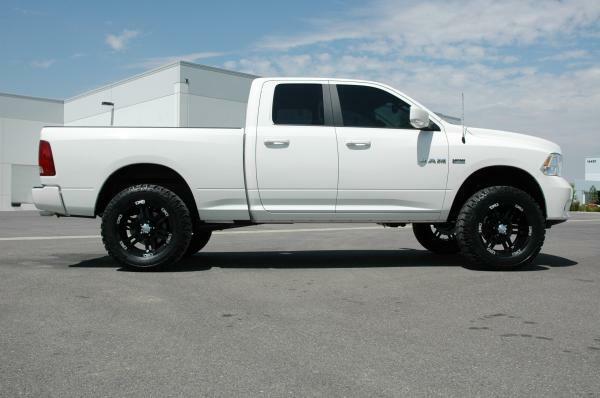 2009-2012 Dodge Ram 1500 2WD Lift Kit by CST 7" Front 4" Rear Lift5MattMay 10, 2013Was very pleased in the construction of product and the instructions were very easy to follow. Using this kit will REQUIRE new shocks. You can purchase our shocks above or source your own aftermarket solution. Please see notes below to ensure fitment before purchasing. If you're looking for a performance lift for your truck, but want it to still be able to be a daily driver, you've found the right kit. 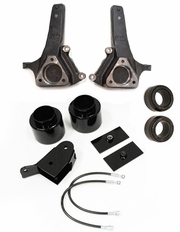 This CST Suspension lift kit uses lift spindle uprights (4") and new coil risers/spacers (3") to achieve 7" of front lift, combined with 4" Rear Coil Spacers to lift the back by 4". This makes the truck sit level since the front sits lower from the factory. Aftermarket Stainless Steel Brake Lines are included for the front to accommodate the new lift spindles. They will result in better braking performance. If you're worried about ride quality, don't be. Your truck will maintain its ride quality after being lifted with this kit. 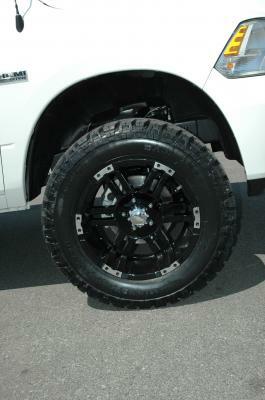 You'll also be able to fit up to a 35" tire 8" wide wheels with 5" of backspace. The part number for this item is CSK-D1-5-10 and it fits 2009-2012 Dodge Ram 1500 2WD models. 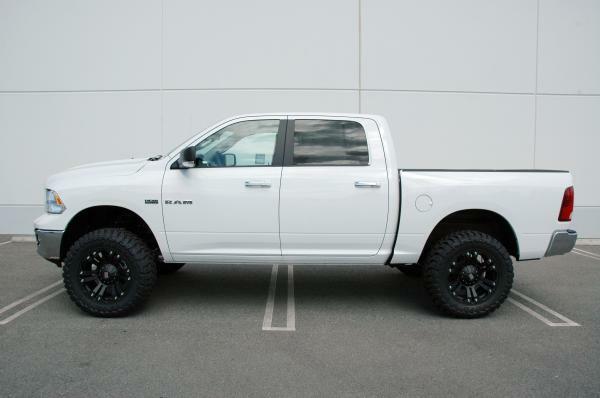 Additionally, if your truck came with the factory upgrade coil overs, this kit will NOT work for you.